Sony skipped out on Gamescom in Germany this year in order to give itself room to breathe after E3. Today, it returned to the expo scene and took to the stage for the first time at Paris Games Week. We're here to give you the entire recap of Sony's press conference and talk about everything shown, which turned out to be quite a lot. We'll break down everything important said on stage about the trailers themselves, and we'll even include each trailer! Jim Ryan, the Boss of PlayStation Europe, opened the show for Sony and took a brief look back at the PS1, given its 20th anniversary. He then showcased every game that came to the PS4 this year, from Bloodborne to Tearaway: Unfolded (which got a bigger pop than Arkham Knight). Ryan then mentioned the price point for the PS4 in various regions. 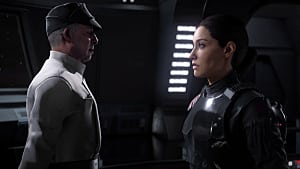 A trailer for Battlefront was next, which starts with the awesome 'The Force Music' from A New Hope and a voice-over from Emporer Palpatine himself. The trailer shows newly announced characters Princess Leia and Boba Fett, with Fett boosting over a Sarlacc pit - a great reference. 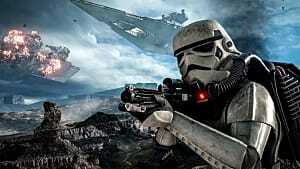 If you care about Star Wars at all, this trailer will probably have sold you on Battlefront. When the lights came up, Ryan announced a PS4/Battlefront bundle releasing soon. This bundle contains the Darth Vader PS4 that was revealed last month. After all of the Star Wars news, Jim Ryan then showcased Street Fighter V. Some of the new fighters, including Laura and Birdie, are shown, as well as the announcement that Dhalsim is also in the game. Yoshinori Ono then took to the stage to talk Street Fighter V. Before starting, he joked that it would be great if everyone could pretend they hadn't already heard all of the news leak, and just applaud his announcements anyway. He quickly talked about Dhalsim and showed off his new look, which ages him significantly. Ono went on to announce that 6 new characters will be in the game, and showed a silhouette of each. These fighters will release periodically throughout the year following the games release and can be purchased with in-game currency, or mini-transactions. Harada reflected on the 20th anniversary of both PlayStation and Tekken, as well as the special relationship between the two, before announcing that Tekken 7 will be coming to PS4. No word on whether or not it is coming to Xbox, but the word exclusive was never uttered. Harada said fans can look forward to a dramatic continuation of the story of Tekken, that Tekken 7 will be the most complete version of the game, and that it will feature exclusive content on PS4. Harada finished up by showing a trailer for Tekken 7 (as seen above). An awesome trailer ensued, which shows off every Tekken game up until now and uses the music from each. Oh, the nostalgia! Tekken 7 looks to focus in on the relationship between Heihachi and Kazuya and may or may not be a prequel - a lot was mentioned about the past. Tekken 7 has been released in arcades for a while now, so it seems likely the console version will happen sometime in 2016. Immediately after the Tekken 7 trailer ended, a new one for Battleborn started up. Battleborn is the upcoming multiplayer game from Borderlands developer, Gearbox. The game looks like Ratchet and Clank meets Borderlands, with a little Destiny thrown in for good measure. A few new features were shown off, including a capture mode, as well as solo play, co-op, split-screen, and lots more. Jim Ryan came back on stage and announced that PS4 users will be the first to experience Battleborn through the 2016 beta. He then said the next 3 games are all set to be PlayStation exclusives. A few new indie games are coming to PS4 as well. The first game shown was a very Minecraft-inspired game about jumping between pixelated dimensions with a mallet in hand. The game is entitled Boundless, and it's a first-person adventure that looks fairly huge. The game looks beautiful and very interesting, but it's hard to tell what exactly the point was. We will have an in-depth feature on the site in the coming days, so keep your eyes peeled for more on Boundless. The next trailer begins by showing music artist Avicii. He says he grew up with PlayStation and he's working with them to create a new rhythm game called Avicii Vector. The Swedish music icon says the game allows you to create and experience music as though you were at a concert of 2000 fans. Hard to say what exactly the game is, but it looks like Race the Sun with rhythm elements. Basically, you steer a vehicle and hit notes to make music, which allows you to play standard songs or create remixes. It will release in 2016. 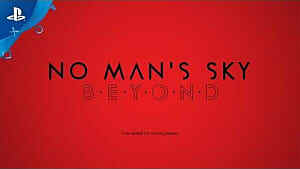 The final trailer is for...No Man's Sky! 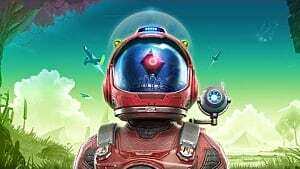 The short trailer featured a cool voice-over talking about travelling through space and finding treasure, creatures, and discovering a "universe you wouldn't believe". A release date of June 2016 was finally revealed for No Man's Sky. No new footage was shown, hence the lack of a trailer included, the game was likely only included to give the (rough) release date. Housemarque makes twin-stick shooters, usually from an almost top-down perspective; however, Matterfall does not look like that kind of game. They may be going a different direction with this one, or it may just be a cool cinematic trailer. Housemarque may actually be Sony's most consistently fantastic developer (2nd party, that is) and so a new game from them is great news. Although sadly there was no mention of currently-in-development title, Alienation. A new trailer for the upcoming Ratchet and Clank remake was shown, which looks incredible. The game could easily be an animated movie, it looks so darn good. It shows all of the usual greatness of a Ratchet and Clank but also some flying missions that were very impressive, it kinda looks like what we all wish StarFox Zero was. This game started out as a simple remaster to coincide with the upcoming movie, but Insomniac decided to go the whole nine yards and re-do the entire game, adding in a bunch of new features and plot. So this could easily be called a reboot for the franchise. Ratchet and Clank will be releasing in the Spring of 2016, and it looks like a return to form for the series. Hermen Hulst of Guerilla Games appeared on stage and began talking about the hotly anticipated Horizon: Zero Dawn. As he talked, a gameplay video rolled in the background. Protagonist Aloy runs under a gigantic robotic dinosaur and hides in some foliage. Hulst described the creatures, as well as the tools that Aloy will have at her disposal. Aloy uses a very cool looking crossbow to set up a trap for some deer-like creatures, then shoots near the machines to send them running into her trap. One manages to escape, and she has to take it on with a simple bow and arrow. The combat in this game continues to look incredible. As in the E3 demo, a T-Rex looking creature appears and charges at Aloy. The demo then froze...but intentionally so. Guerilla took a closer look at the awe-inspiring creature and talked about the design of it. Apparently this is an actual feature in the game that allows you to freeze the action and move the camera around. As the gameplay resumes, Aloy uses an array of weapons, including an EMP arrow that momentarily stalls/stuns the creature. She then pins it to the ground (with the same arrows she trapped the previous robots) and is able to target a weak spot and destroy it. As the demo ended, Hulst again confirmed the game is coming in 2016. This will most likely be Sony's big fall 2016 game, so let's hope it can make that window. Next the conference slowed down just a bit to show off some new stuff for existing games. The new Bloodborne expansion, The Old Hunters, was displayed in gruesome detail. If you like the standard Bloodborne, this DLC looks every bit as creepy, gory, and fantastic as the game itself. It's coming November 24th. Next up was a trailer for a new DriveClub expansion. Entitled DriveClub Bikes, this new mode will allow you to race Motorbikes, which are just as pretty and exhilarating as the cars. Michael Denny announced new modes and a campaign for the expansion, which is available now! The expansion can be be bought as an update for DriveClub or a standalone experience. Keiichiro Toyama, director of Gravity Rush 2 came on stage to discuss the previously announced game. He said it has a lot of fun new features and showed off the new combat in a gameplay video. In Gravity Rush 2 you can switch between 3 different gravity modes, the first is the same as the original, but you also have Lunar Style and Jupiter Style - which are lighter and heavier, respectively. These two new features offer big changes to the combat. The trailer shows the open-world aspect, along with the incredible gravity combat. Jupiter style looks fun, as you can leap into the air and pound the ground, much like Delsin from Infamous: Second Son. A boss battle is also shown off, which allows for Tag Team Battles with 2 players. Gravity Rush 2 looks like a bigger, more beautiful and robust version of the original. Excited to see more. Christophe Balestra, a native of Paris, came on to discuss the PlayStation 4's most exciting game, Uncharted 4: A Thief's End. He reiterated the March 18th 2016 release date, as well as a December window for the beta. The trailer showed the improved multiplayer in Uncharted 4. This new mode allows for sidekicks, power-ups, and summons, using the supernatural elements usually found in the campaigns. The trailer is a mixture of gameplay and cutscenes, but if the multiplayer is even half as cool as it looks, it will be incredible. It seems that each player will have quips, much like Drake does in the story mode. Naughty Dog has embraced the weirdness of Uncharted with the multiplayer, and it kind of reminds me a little of Team Fortress. English gaming studio Media Molecule came along to talk more about its upcoming project, Dreams. The game was unveiled a few months ago at E3 and was fairly hard to wrap our heads around. In the game you have an Imp that you control, but it also helps you learn how to play. You can grab, pull or move everything in the world. The guy playing moved everything in the pink fluffy environment and unveiled a doorway. Going through it, he emerged in a grassy area and found a cute bear girl, who he then possessed using the Imp (it's a lot less creepy than it sounds). He began building the world with trees and set up a house. He opened the door and entered a magic-looking library. After a few moments, he found a way out of the library and discovered a similar area with a giant mouse. He took control of the giant mouse and began reading a book, which gave him the ability to make things float. A sizzle reel showed off levels created in the game, from classic platforming levels to soccer matches, Mars missions to snowboarding, just to name but a few. Dreams is a very stylized game that has incredible potential for world-building and creation. Creators can give you tools to create and navigate the level on your own, or they can give you nothing and allow you to traverse the world in the various ways that they designed. Basically, it feels like the natural progression of Little Big Planet that gives creators a zillion times more creative control. This could be special. Shuhei Yoshida came on stage to discuss PlayStation VR. He said VR allows you to visit places and do things you never could in real life. 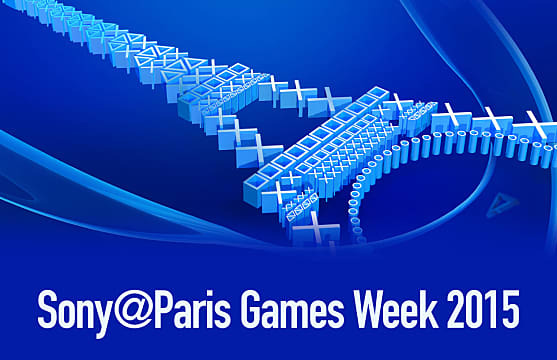 8 games are playable on the floor at Paris Games Week. Yoshida emphasized that PlayStation VR isn't just a solo experience, it has social and competitive potential. This led to a trailer for the upcoming multiplayer game Rigs (which can be seen above) - a game in which players control flying robots and fight in futuristic arenas. The trailer shows a few of the various robots you can use, which look really fun and diverse. One of the coolest elements of Rigs is the commentary, which is like that of a sports game. Players can score points by leaping into a bowl in the center of the arena, which both teams are trying to stop each other from doing. This game could be huge in the competitive gaming scene, which is clearly what it's being designed for. Yoshida then came back to announce a new title in development for PlayStation VR, Until Dawn: Rush of Blood. Supermassive Games has been working on this expansion for Until Dawn, building it from the ground up for virtual reality. Not much was said about the game, apart from the fact that it will be on-rails, instead of QTE based. Looks interesting, but I don't know why they attached the popular Until Dawn name to this. Cevat Yerli from Crytek then came on stage to announce another new game for PlayStation VR. It's called Robinson: The Journey and is a PlayStation VR exclusive. The game is first-person and shows the main character, Robin, in a beautiful, alien forest. Robin is approached by a white orb, similar to Ghost from Destiny. The orb guides you around the forest as you avoid being "squished" by massive dinosaurs. The trailer ends with a Velociraptor-esque Dino appraoching you as the orb turns and asks "Robin, are you ready for a different game?" Nice to see Crytek back in the AAA game space after the rough last few years. Robinson: The Journey looks pretty great so far and will be coming first to PlayStation VR. Next we had nother VR title called BattleZone, from Rebellion, which is a stylized vehicle shooter. BattleZone is a reboot of the tank game from Rebellion, and the visual style is reminiscent of SuperHot. First-person tank combat could be very fun, and the art-style is less abrasive and painful on the eyes than standard game visuals. Yoshida came back and said PlayStation VR is not just about games. They showed a movie clip from The Walk, which puts players in the shoes of Joseph Gordon Levitt's character as he walks out onto a wire between the Empire State Buildings. It's a funny video that showed people trying the demo and freaking out/falling over. This is the kind of experience that VR needs to succeed. Yoshida said over 200 developers are working on PlayStation VR games and showed a sizzle reel of some of those games. Jim Ryan returned to the stage and announced that Tekken 7 is also coming to PlayStation VR. Finally! Polyphony Digital has announced a new Gran Turismo. The reveal trailer showed the history/evolution of racing cars before leaping into the insanely beautiful Gran Turismo Sport. I don't get the name change, but you will be hard-pressed to find better graphics in any game, on any system. Gran Turismo creator Kazunori Yamauchi explained that the graphics, sound, and physics engine are dramatically improved on PS4, and it will be the most realistic Gran Turismo game ever. He said he wants to change the way people play racing games and revitalize the genre, which is why it isn't just GT7. Two new modes were announced. The first is the Nations Cup, in which you race and represent your own country. The other competition is the Manufacturer Cup Race, which allows players to choose a favorite manufacturer and race for them. The world champions of these tournaments will receive awards at the FIA each December, which are the real-life racing awards for Formula 1 and other motorsports. He said this is a big step forward for gaming in the mainstream. Finally, Yamauchi announced that Gran Turismo Sport will have Beta tests beginning early next year and that the game will be compatiable with PlayStation VR. That's a huge deal for VR. No word on a release date, but it could be fall 2016 or Spring 2017. After what seems a lifetime, Michel Ancel, creator of Rayman, talked about WiLD, the game revealed at Gamescom 2015. 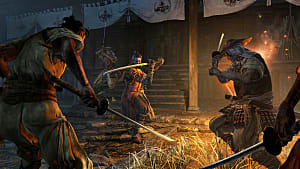 The trailer shows off the more personal, story-driven aspects of the game, as well as the scope of the world. It begins with a woman bitten by a snake, who needs a Shaman to get her help. The gameplay ensues as the player, a Shaman who can call any animal, jumps out of a tree and takes the form of an eagle to locate some snakes. The eagle flies down and snatches a snake for the Shaman. The character then calls in a bear and rides it like a horse. A quick montage shows the Shaman and bear travelling through the world together, which looks massive and diverse. The Shaman reaches his location, to get the cure, and he needs to infiltrate a cannibal camp. So he takes the form of a rabbit and simply sneaks past all of the insane fire-worshippers. 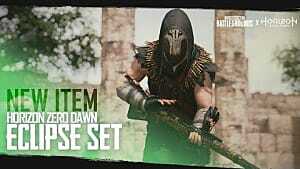 He then changes to a Raven and instructs dozens more to begin attacking the cannibals. As the enemies are distracted by being pecked, the Shaman charges in on the bear and attacks. After clearing the camp, he can summon a deity based on any animal, like the snake, which gives him the ability to create an antidote. A giant snake lady appears and the demo ends. Ancel says everything he did was his choice, and every player could do it differently, which is also the impression we've gotten from behind closed doors demos. WiLD is a lot to take in; it's very ambitious and could be one of the most amazing things out there right now. Ancel said it's still "very early in development", so this feels more like a 2017 game to me. And here's the big one. David Cage from Quantic Dream appeared to finally discuss his latest project, Detroit. Cage talked about the popular tech demo, Kara, and the process of writing that script. For Detroit, he wanted to continue the story of Kara, the android in the demo. Cage talks a lot about the pre-production process behind the game, which is worth listening to. "My name is Kara. I am one of them. This is our story." Very exciting game that shows a reborn Detroit that has prospered through the development of AI, as opposed to cars. Look forward to seeing more of this game but no release window suggests 2017. Jim Ryan came back on stage one last time and announced the end of the show. Next stop, PSX in December! 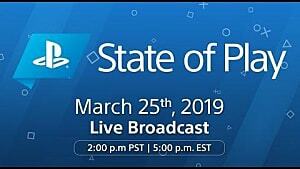 A ton of great stuff shown and announced at Sony's press conference. 2016 is looking like an incredible year for Sony right now, with Uncharted 4: A Thief's End, Horizon: Zero Dawn, Tekken 7, Gran Turismo Sport, Battleborn, Boundless, Gravity Rush 2, Street Fighter V, Avicii Vector, No Man's Sky, Matterfall and a ton of exciting PlayStation VR experiences. Great conference overall.